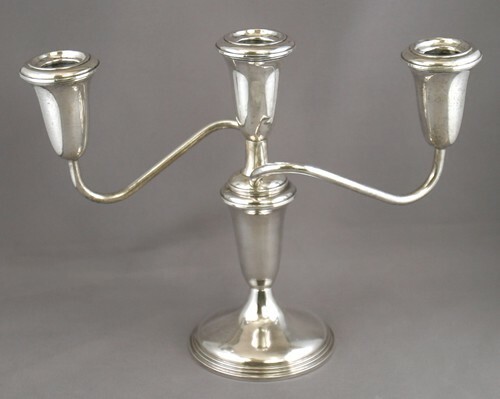 Empire Sterling 3-candle twisted-arm candelabra, #384. Weighted, mid-20th cent. Measures about 8 inches high by 10 inches wide. Condition is very good, a few minor dents due to use.